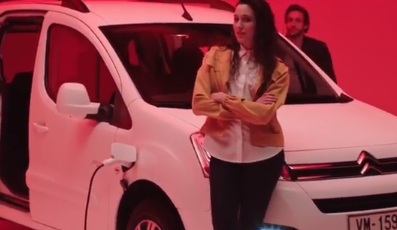 Citroen UK presents the new E-Berlingo Multispace as the “all-in-one vehicle” that goes electric in one of its latest adverts. The 80-second spot, set to the rhythms of “Take Me For A Ride” by Holy Oysters, showcases the new model, which keeps all the Berlingo’s practicality, liveability and modular design, and adds the driving pleasure and benefits of an electric vehicle. The easy charging access (30-minute fast charge and 8 hours and 30 minutes standard charging) and the advantages of electric mobility fits with a broad range of everyday activities, be they personal or professional. With a certified maximum range of 106 miles, E-Berlingo Multispace is perfectly adapted to customer needs, with the majority of Europeans driving under 60 miles a day, and brings them an all-new mobility experience for even more onboard relaxation and peace of mind. Described as “practical”, “useful”, “technological”, the E-Berlingo features two sliding side doors, boot volume among the best in class, with up to 1350 litres with five persons on board and 3000 litres with the row 2 seats removed, large-dimension opening rear window, that makes loading easier.